Police chief Ronald dela Rosa has apologised after defending the use of an illegal and unconstitutional secret cell at a Manila police station. The leader of the Philippine National Police (PNP) said he “got emotional” and just wanted to defend his fellow officers, who he described as his “children”. However, he has continued to maintain that the cell — which was hidden behind a bookcase — was merely a “creative” response to overcrowding. He added that in future the problem should be dealt with by tying suspects to posts or railings, so no accusations of secret detention can been made. As we reported, the shocking discovery was made by the Commission on Human Rights (CHR) last Thursday, when they found 12 men and women crammed into a tiny, squalid cell hidden at a police station in Tondo. 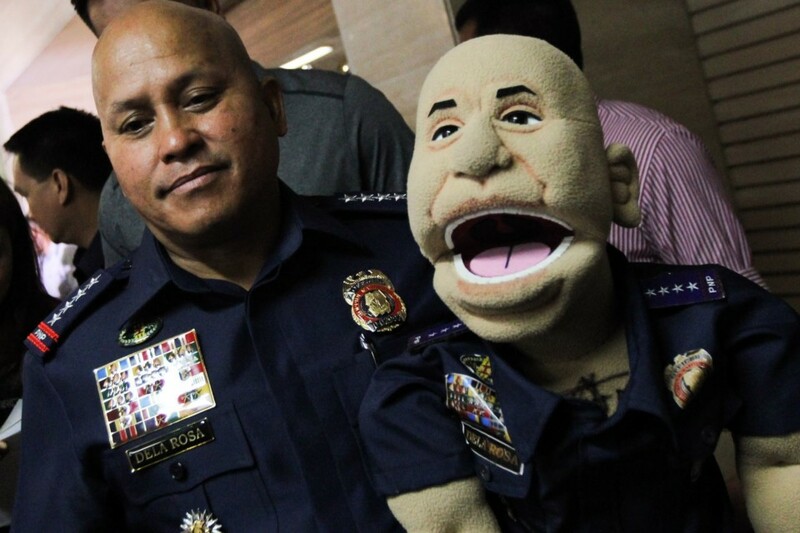 After the PNP was criticised for the illegal practice, Dela Rosa sparked further anger when he defended the police involved, insisting that allegations of abuse, extortion and arbitrary detention against them were false. He also lashed out at the CHR, saying their visit was “for show” and intended to embarrass the government and police in the run up to the ASEAN Summit. But Dela Rosa reiterated his defence of his cops on Monday, saying the detainees lied to the CHR about their plight because they hoped to be released. However today (Wednesday, May 3) he appeared to backtrack on his earlier remarks. He said: “We are all Filipinos. We are all against human suffering. Those detained there, they really suffered. So we have to act on it. So we will talk. I’ll find a way. He has also ordered a full inventory of police cells to close down any further hidden jails. Despite this apology and promise of action, he maintains that his officers were not acting maliciously — but had merely found the wrong solution to an overcrowding problem. Dela Rosa has led the PNP since President Duterte’s accession in July 2016. He was previously head of Davao City police under Mr Duterte’s mayoralty.